Synopsis: (from IMDb) A group of students investigates a series of mysterious bear killings, but learns that there are much more dangerous things going on. They start to follow a mysterious hunter, learning that he is actually a troll hunter. My Short Review: While I do believe TrollHunter is a bit overrated, it is still one of the better entry in the Found Footage genre. At times, the movie reminded me of Cloverfield, other times Blair Witch (during scenes in the forest) but Trollhunter adopts a funnier tone than those 2 movies. I would actually not put it in the horror category but more in the Fantasy/Adventure ones. First of all, the design of the Trolls are very fantasy-like (they are Trolls after all) and never really feel like scary creature. Actually, we kinda feel for them as they are being killed and you can tell Hans, the Troll hunter has respect for them and remorse (especially after the massacre he was part of in the 70s). There is also plenty of humour with Christian references, Troll “scent”, government cover-ups (gotta love the fake bear traces…). 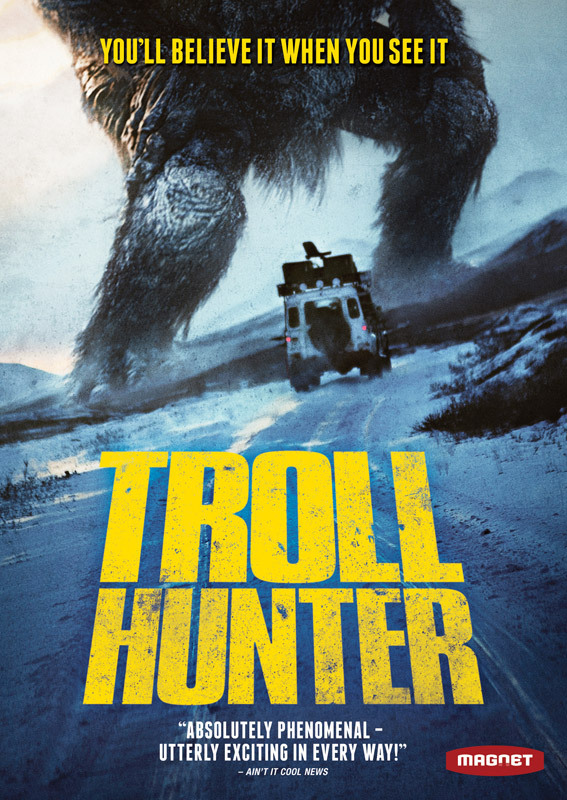 As a result, Trollhunter is an enjoyable mix that do not always work (some scenes are a bit overplayed and the movie would have beneficiated from 15mn less running time) but I really commend the filmmakers for taking a completely new approach to the genre. Not a great movie but a refreshing one. 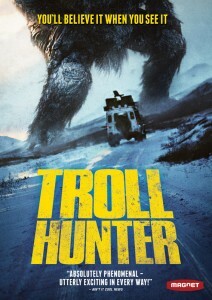 Click Here To Own and Watch TrollHunter Now!